This week I have definitely noticed improvements in my energy, cravings, and just generally how I feel. I haven’t been feeling at all anxious, or sad any time at all, and my energy levels have definitely panned out, and I am not feeling completely exhausted early in the night. My supplements have finished now, I may buy some more soon, it just really depends on the budget as they aren’t too cheap! Most of the supplements I have been taking do the same as what the bone broth will be doing anyway. I have been trying to have bone broth everyday, and I have a taken the last of the probiotics that I have had left. Reading lots of stories about people doing a similar thing really helps, and it does help having people around you who are interested and support what you do as well. I think the main challenge in this whole experience is being prepared, and I will be writing a list of ingredients in my next post, after I have completed my first month to include all of the items that I think are helpful for you starting the challenge in the first week. My cheat days were at the end of this week, and you can read more about how I felt after the weekend in my next post. Really interesting! 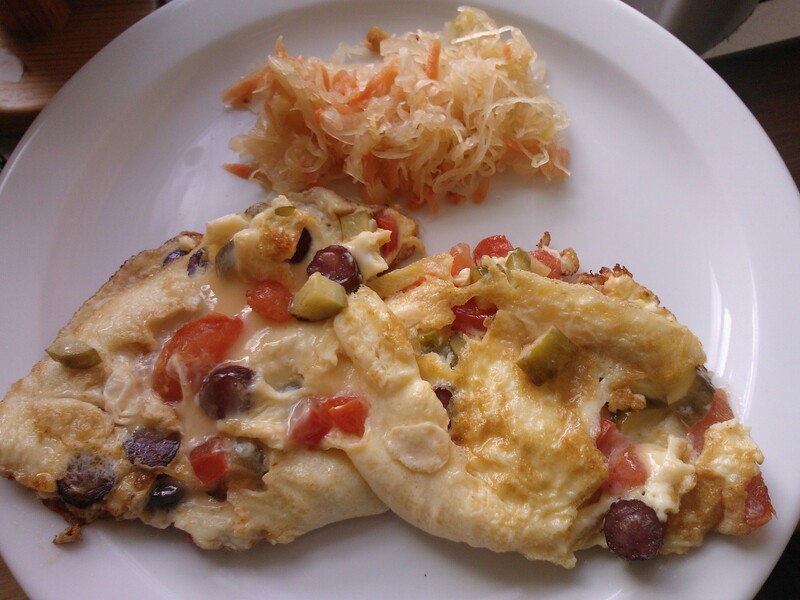 Day 3 – Omelette with left over chicken and veg from Monday, venison bier stick and a side of sauerkraut I didn’t finish this either, I just took the leftovers to work for lunch. 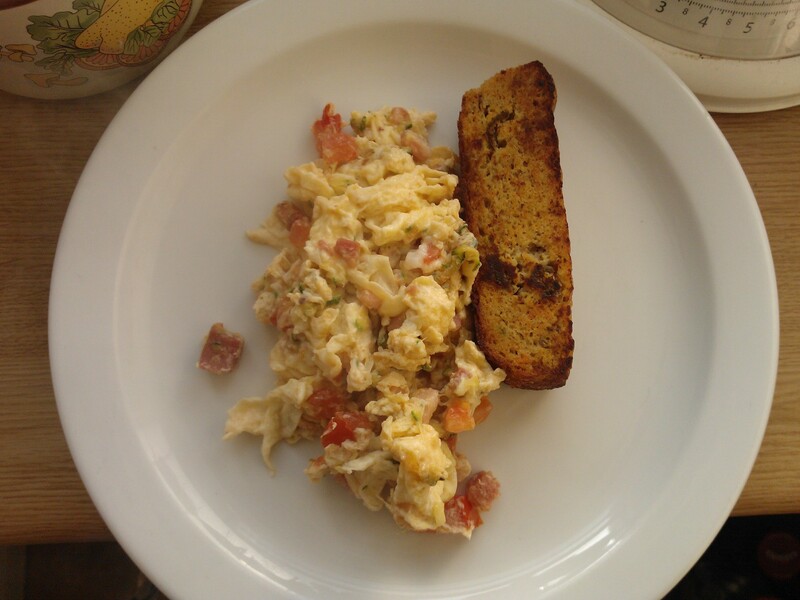 Day 6 – Breakfast/Brunch at The Marwood. 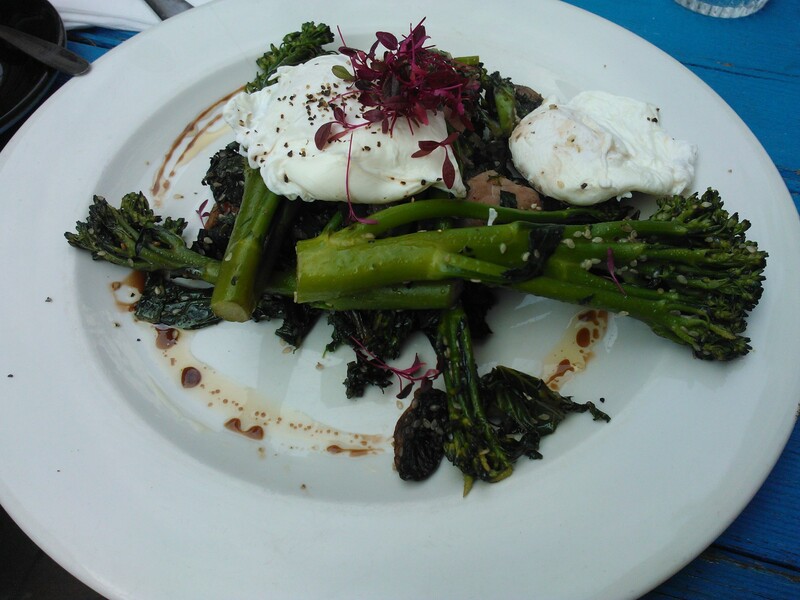 Broccolini breakfast – with kale, sesame, chilli, bacon and two poached eggs. If you haven’t tried it yet you need to! Paleo friendly too 🙂 Oh, and I had a mug of bone broth first thing. Day 1 – Pulled pork with cucumber, crunchy salad and rocket. 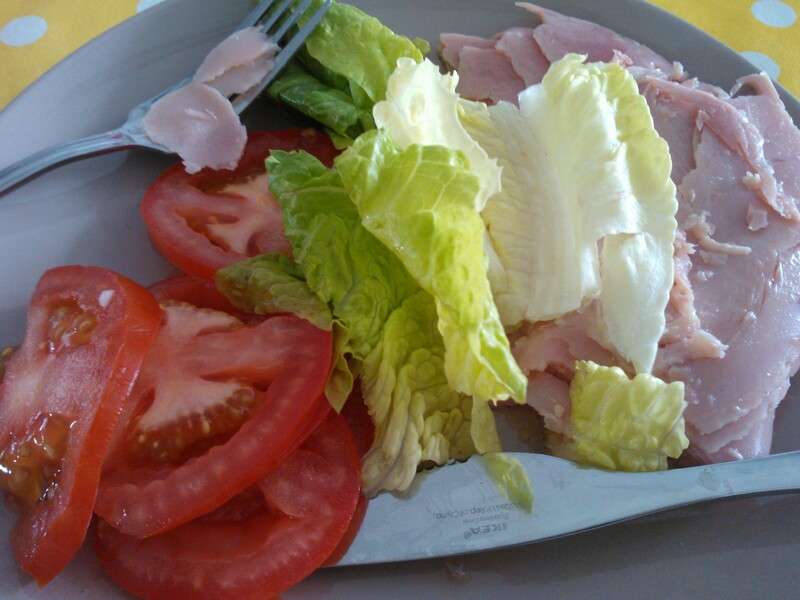 Day 4 – Ham, tomato and lettuce, yum! 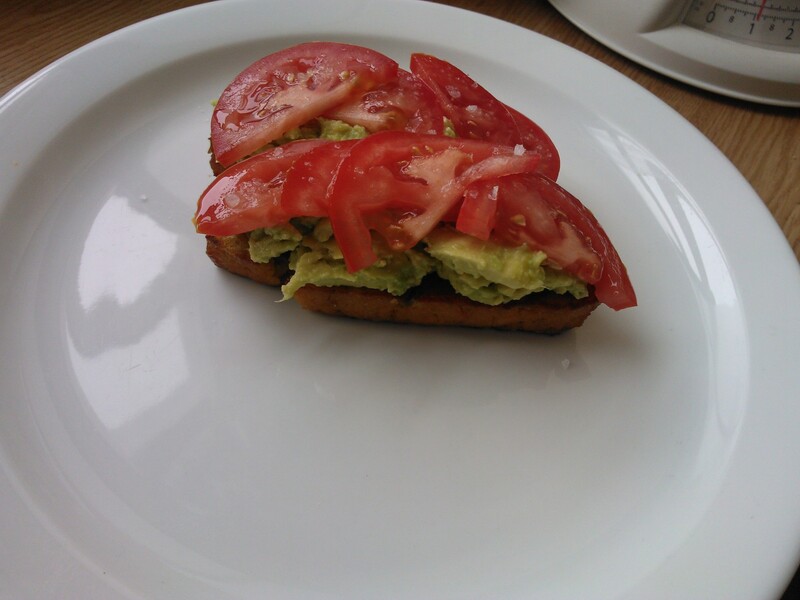 Day 6 – Nothing as we had a late brunch! 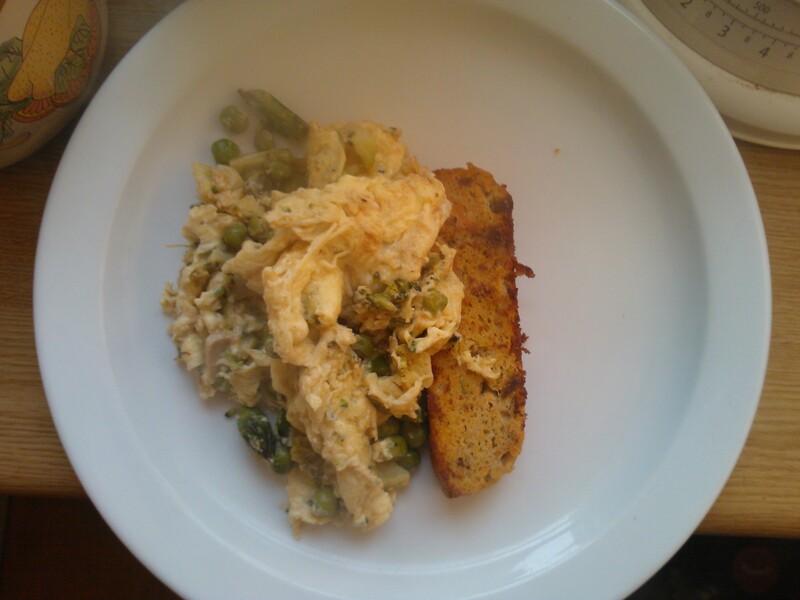 Day 7 – I had a starter and a main – we were out for a Sunday lunch for a friend who was leaving in London. 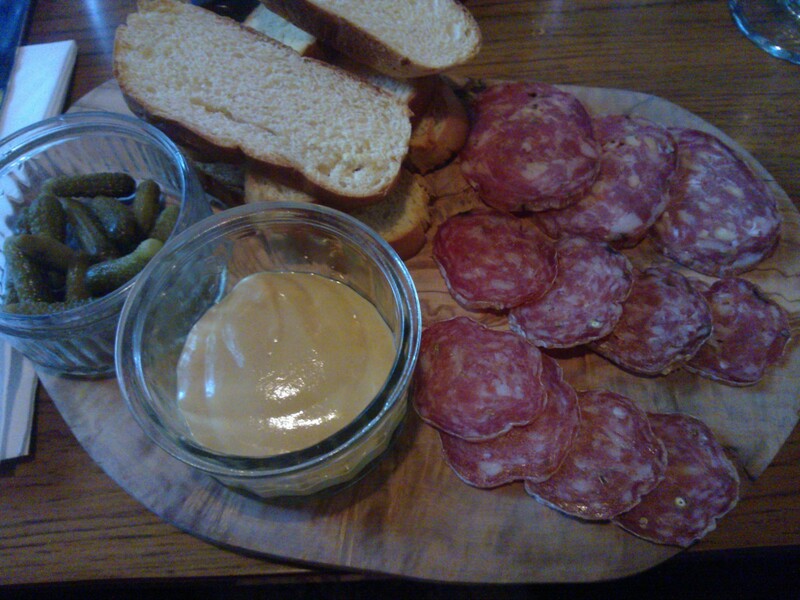 My starter was a charcuterie with a mustard sauce on the side and cornichons. It came with brioche but I shared that around the table. 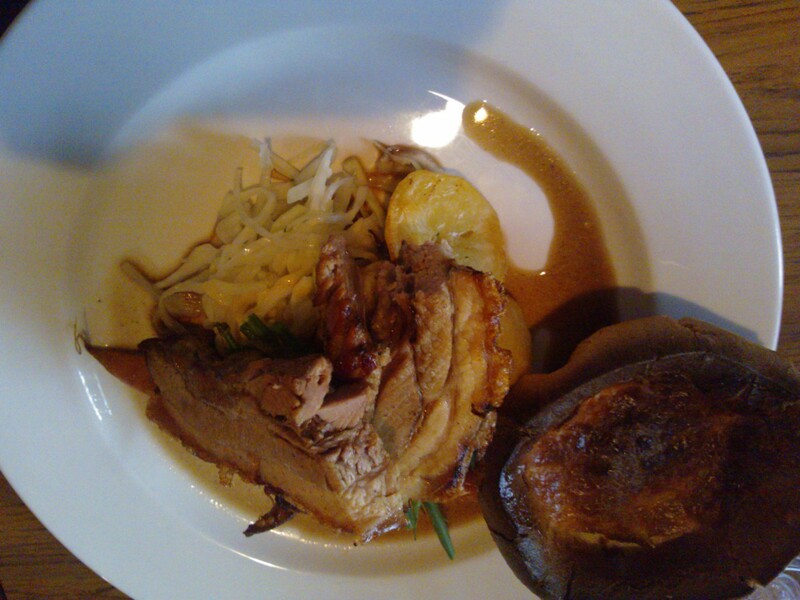 Then, for the main I had roasted pork which came with cabbage, carrots, potatoes and yorkshire (which I shared with others) The gravy wasn’t thickened so I’m guessing was gluten free. Excuse the bad pictures, the lighting was terrible! Day 6 – No snacks today! Day 7 – A portion of wedges from the pasty shop 😦 I was in London Bridge station and still hungry after a day of leaving drinks! My body paid for it the next day! Lesson learnt. 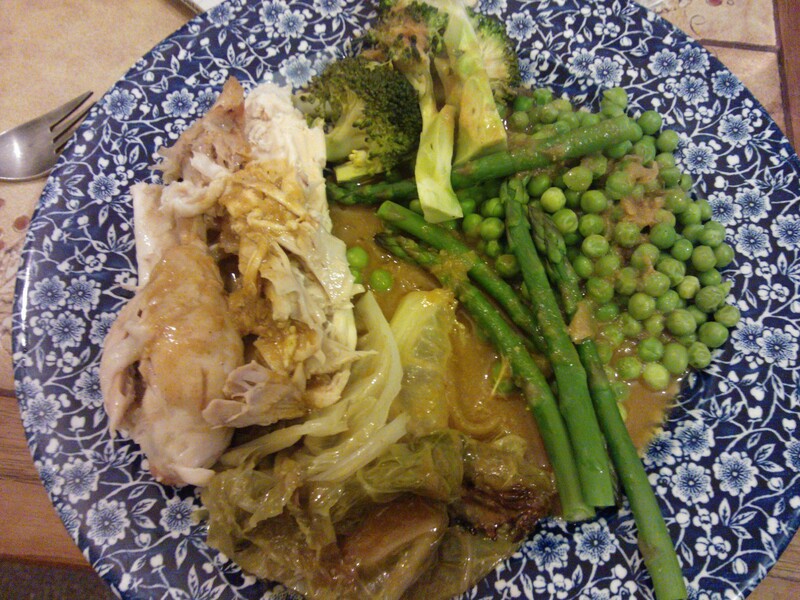 Day 1 – Roast chicken with roasted savoy cabbage, peas, asparagus, broccoli and a paleo achiote onion gravy. This meal was massive by the way, but I did only eat half of it as I was full! Hence the leftovers being used for breakfast. Day 2 – Chicken breast and salad at my boyfriend’s Nan’s house. 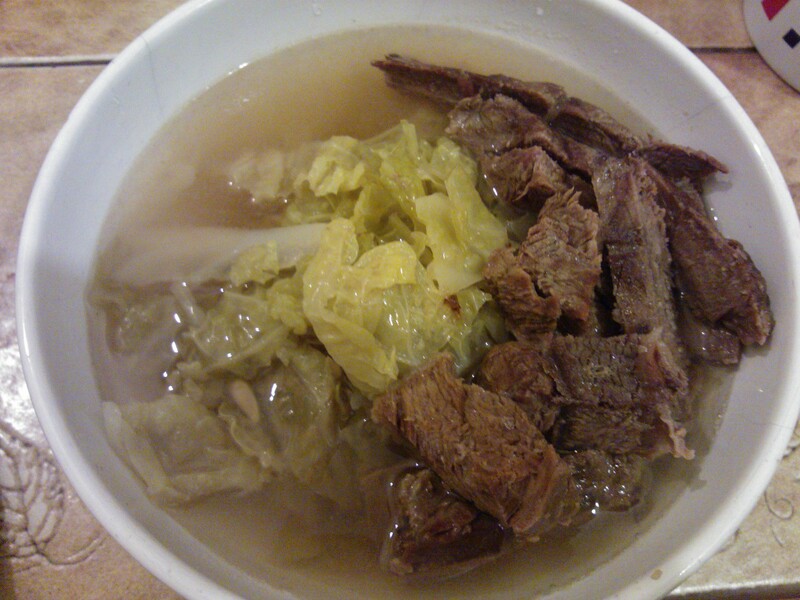 Day 4 – Beef and cabbage soup cooked in the oven in my homemade bone broth, with fresh lime and fish sauce – so warming and delicious! Day 7 – A takeaway Thai red curry for the ride home, I had rice so wasn’t paleo friendly. Was just what I needed for some comforting food! Day 1 – I did a morning yoga session this morning, which started the day off nicely! I felt a little bloated today, and I’m not sure what it is? Went through a bad patch in the afternoon, felt like I was experiencing die off symptoms which was wierd. But I had more energy in the evening and the late afternoon. Day 2 – This was the first morning when I struggled to go to bed! I didn’t do yoga as I was pretty sore yesterday after a few days in a row. I think a rest is good. Had good energy levels throughout the day, although started feeling the die off symptoms a little bit again. My skin has been feeling really good which I have just noticed! Really soft and smooth. I felt really tired again in the evening, ready for an early night! Day 3 – Felt a little in my own world today. Work was busy, but I found it hard to focus on the task at hand. My energy was okay, I did a hard yoga class in the morning, but did get tired at my usual 9:30pm time! I think I am going to try and up my fruit in take a little bit, by having an apple a day. Day 4 – Woke up at 5:45am and was basically wide awake so made the most of it by doing some life admin. 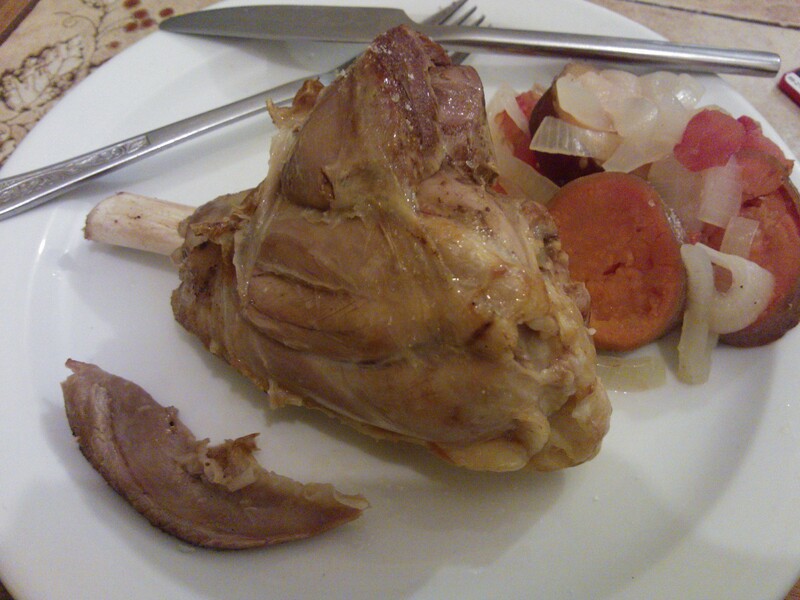 I need to make bone broth today, I have chicken bones to uses, but I don’t want to cook them for too long! It’s just going to have to go in the slow cooker before work. Had good energy today, I didn’t get ridiculously tired in the evening, and I generally felt really good about myself! This is the weekend that my friend is coming down so we will be eating out a lot as I show off the tasty places we have in Brighton, and I kinda don’t wanna eat non paleo foods as I don’t want to go back on myself! As long as I take it easy and don’t go crazy I should be fine right? Day 5 – Woke up at 5:45am, it was good as I got the first update on the Scottish referendum, which voted no! So they will still be part of the UK. I had a good amount of energy all day, it was payday, so felt like treating myself, hence the snacks 🙂 Did a quick yoga session in the morning too. 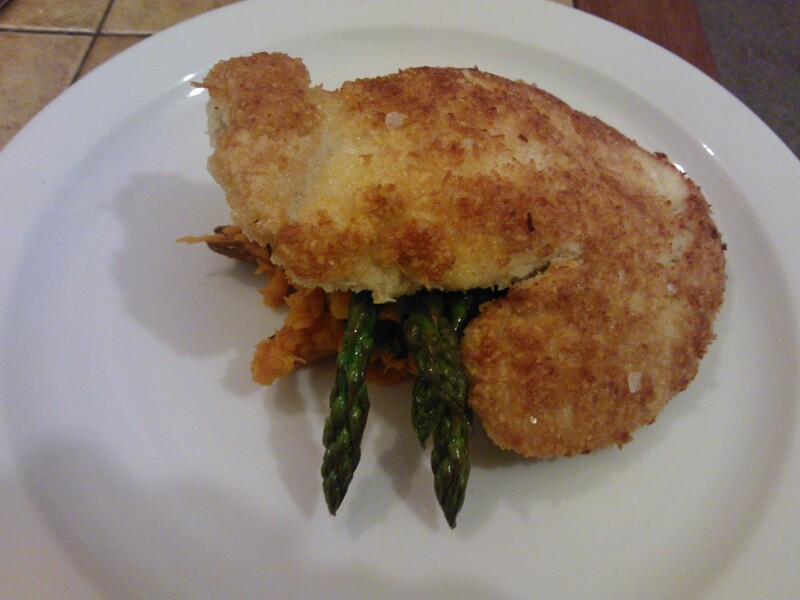 I have decided that I am really going to get my budget back on track, and eating paleo may cost a little more to cook at home, but I also am unable to eat out as much, as there are as not many paleo friendly options, so it does save me a lot of money! I did decide today that I will carry this on for as long as possible for health and for money. Obviously, certain occasions I will eat out, reviews, dinner parties etc, but not as much as I used to. I also have noticed that I really don’t crave any bad foods anymore! Everyone ordered Thai at work today, and it did smell good, but didn’t get me salivating out of the corners of my mouth as per usual. Day 6 – Today is the day that I have a friend coming to visit. Remember in the first post I wrote, I mentioned that me and my friend I am doing the challenge with both had a day in the month that was pre planned and we would have to be excused? Today is that day. I’m kinda excited but sad at the same time. We are definitely going out for brunch, and then dinner with cocktails later, so I will most likely be in a situation where I will have to devour a non paleo friendly dish. I will do the best that I can, without making a fuss (ie changing the dish completely) and take pictures to show you all later. Wish me luck! So, I met my friend just before lunchtime, but we headed out to grab some brunch as neither of us had had breakfast. A place that I knew did a really delicious paleo breakfast, and it was a good cafe too so I suggested that we go there. After brunch we went for a wine! And it was nice to enjoy a glass as it had now been nearly 3 weeks! We headed to watch a friend play a roller derby game, and grabbed a couple of gin and tonics (I got the sugar free version) for the train. They tasted pretty horrible to be honest. After the game we headed home to freshen up and charge the phones, and headed out for dinner to my favourite local Mexican place Carlito Burritos (you can see my review here) and straight away ordered a couple of Margaritas. I got the tamarind one, but it was sweetened with agave, so I had a massive sugar rush as this was the first sugar I had had in three weeks! 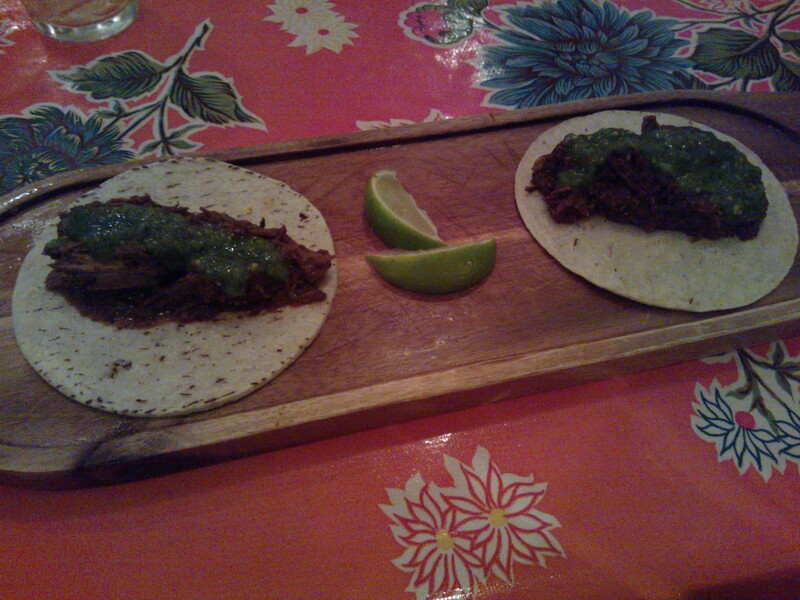 The food was amazing as always, and apart from the booze and the corn products, I didn’t do too bad right? 😉 After another Margarita (they are soo good) we stumbled home and went to bed. I was buzzing from the sugar, but managed to sleep straight away, but then was quite restless throughout the night, and felt horrible when I first woke up in the morning. I wonder how I will be feeling tomorrow? Day 7 – Last day of week three is here! As I said, I had a restless sleep last night and I woke up early. But I felt much better after water, a mug of bone broth and a coffee! My tummy feels a little tender, but nothing too extreme which is good! I had lunch and dinner in London, as well as a lot of wine with my friends. I didn’t go crazy with food as this was still my cheat day, but it did make me realise how hungry I get after a few drinks and the type of food I eat and the money I spend! I got home feeling sluggish and tired, and went straight to sleep. How I felt the next day will be in next week’s post, and it made me really appreciate how clean and healthy I had been eating and how much sugar and processed foods can affect me so much! Please feel free to add your comments or questions below, I would love to hear from you! 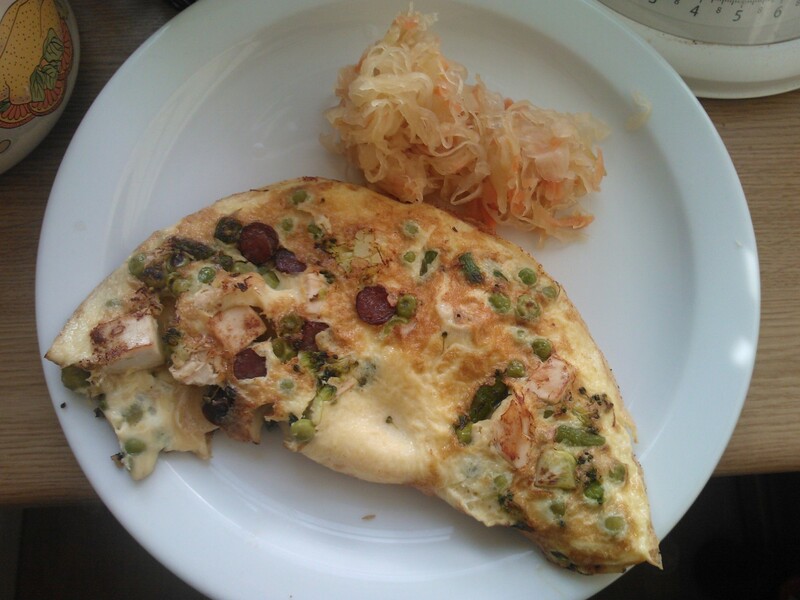 Next: Next post: 30 Day Paleo Challenge – Final week!